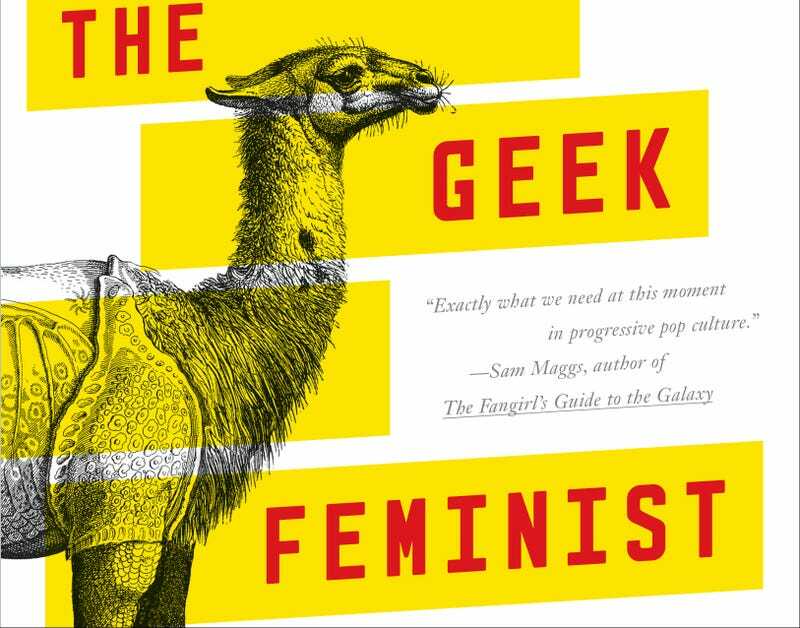 Kameron Hurley’s latest book, Geek Feminist Revolution, is going to piss some people off, and that’s a good thing. It’s an extremely relevant commentary on the larger geek world that needs to be read as widely as possible. Hurley has been writing since 2003, receiving acclaim for her Bel Dame Apocrypha and Worldbreaker sagas, and notably earning a Hugo award in 2014 for her essay on A Dribble of Ink, We Have Always Fought: Challenging the ‘Women, Cattle and Slaves’ Narrative. Her collection of nonfiction ranges from autobiographical reflection to literary criticism to world history and to commentary on the state of the geek world. This is an rightfully angry collection of essays: you can feel this in every word. This is much needed anger: a powerful and thoughtful examination of the professional world that helps construct the worlds we take part in. This book is packed: advice on writing and constructing new worlds - advice that challenges writers to do better for their characters and stories to reasons for why the Affordable Care Act has literally helped save her life. There’s examinations of films like Die Hard and Mad Max, and bluntly honest essays on what it’s like to be a woman writing science fiction on the internet. In many ways, the speculative fiction world is at a point of transition, caught between entrenched values of an old guard and their followers, and a newer generation that has expected more. Hurley’s underlying argument that there are certain patriarchal conditions that allow for certain behaviors isn’t a new one. There are many others that have pointed this out. This book exists because despite those earlier voices, change is happening slowly. The cure to to this is to break out of the gated communities that we build for ourselves. When we live in a world where we’re surrounded by people who look or sound or believe like one another, we enter a sort of echo chamber, which in turn fosters theses sorts of movements of angry people. The cure for our woes, it seems, is to break out of one’s comfort zone and simply seek to understand someone else’s point of view, to understand why certain behaviors affect others so viscerally. This has been particularly noticeable in the science fiction world, where long-ingrained values and habits have become the norm, making it difficult for marginalized groups to get a foothold. That’s changing, but not without significant drama. Movements such as #GamerGate and the Rabid Puppies show that this extends beyond the professional shop talk and into the mainstream culture, and Hurley’s book digs in at some of the underlying issues as to why the response has been so visceral. I hope that Hurley’s book will be picked up and honestly read by a wide range of fans, from those who identify as ultraconservative to their more liberal counterparts. While there will be some who will undoubtably dismiss and toss it aside, but I hope that it will change one mind, then another, and another. Geek Feminist Revolution will be available on May 31, 2016 from Tor Books.